Emails are going back and forth. Hope is still alive. Friends of 72 unite. Keep up the pressure. Write, call, email, blog, chant – whatever you can do may yet help. 72 Conkey, Rochester, photo by JF. 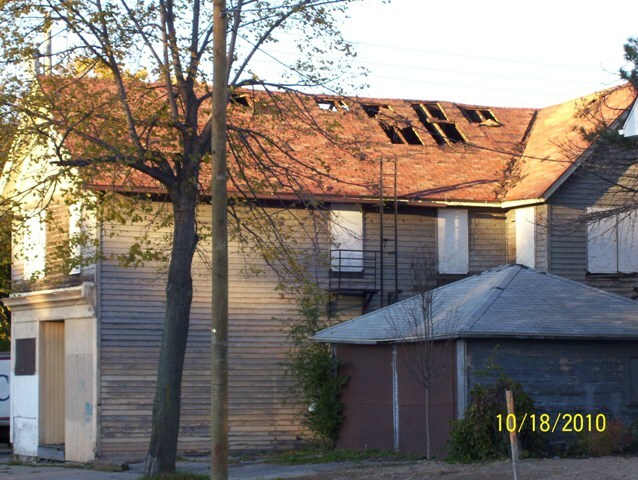 Jim sent me this latest image of 72 Conkey. Rochester’s Fire Department has ventilated the roof. The hour draws nigh. Still not too late. Protest to Bret Garwood, City of Rochester. 72 Conkey, Rochester – photo by JF. 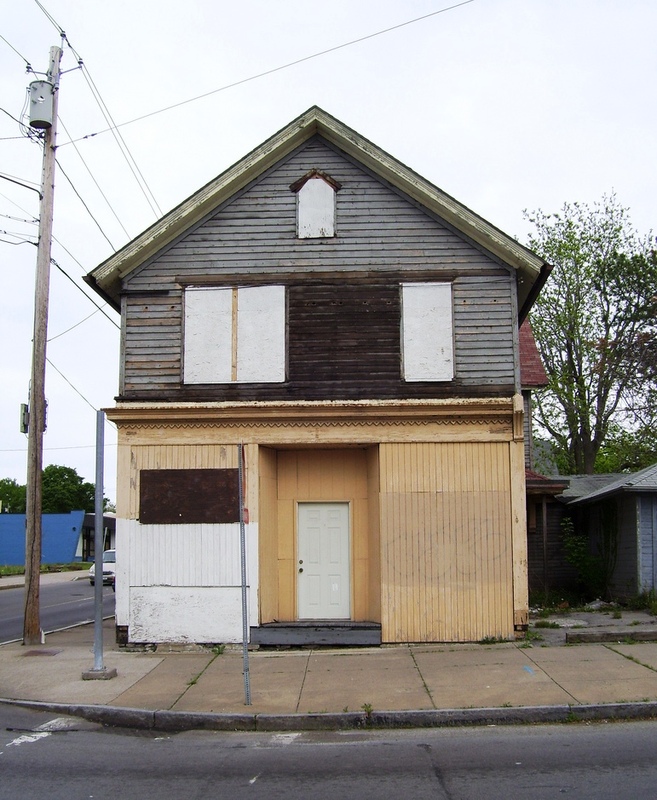 To my complete horror, I have discovered that some of my facts regarding attempts to save 72 Conkey Street here in Rochester, one of the oldest buildings in this part of the city and originally a family run grocery, were incorrect. I have just learned this, and I must try to set the record straight, of course. It turns out that an actual written proposal to save and recycle this building was never completed and sent to the city. No wonder it’s facing the bulldozers…. It turns out that our friend and colleague in this neighborhood did begin to draft a proposal. And it turns out that there were conversations with a variety of City employees, at various levels of the bureaucracy. And our guy worked with at least two community organizations as he mulled this over. 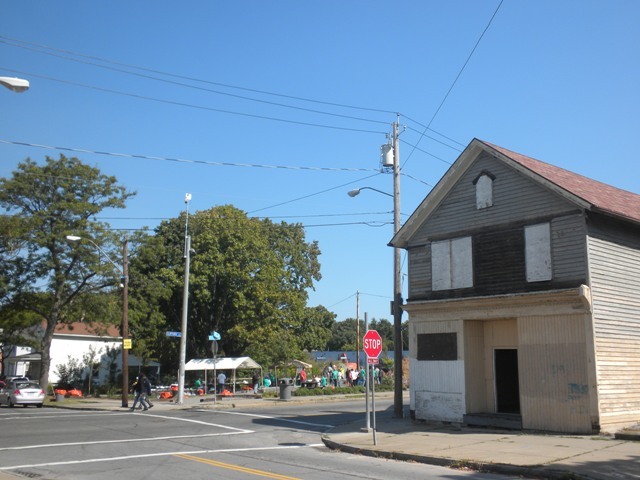 Lot and lots of folks knew there was interest in the structure – interest from a proven rehabber who is restoring, at a very high level of quality and workmanship, multiple other derelicts in the neighborhood in sweat-equity fashion. He and his wife may be slow, but the results are astonishing. And did the City embrace him and ask how they could help? Did the City listen to him as he articulated the historic and urbanistic importance of this building? Did the City lean on local partners to get them to work with our man and put something together? Was the City relieved that this wonderful old dowager of a building didn’t really have to come down after all? So, with his back to the wall to keep his other projects moving, and short of funds because the City was forcing him to hire out some of his other rehab work to get done within their (cockeyed) time frame, he decided he just could not make a proposal for 72 Conkey Street. So I stand corrected. A written proposal was not submitted. But to me, in the end, the fact that he did not complete the proposal, the facts surrounding his conversations about this important building with city and neighborhood people, the fact that the City has a policy of tearing down corner buildings as a priority because they are likely to become drug houses, the fact that the City has never made anything easy for this guy doing this incredible work – all of this simply makes Project Green of the City of Rochester an abject disaster. Facts can be tough things. I’m still mad as hell. Now, maybe even madder.